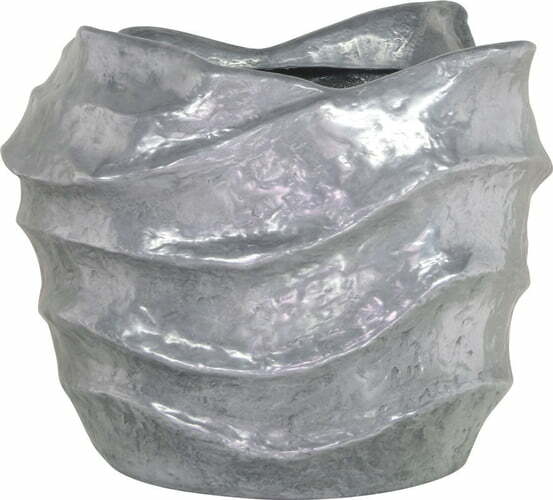 Stylish planter in the form of a sea snail. This stylish planter by Fleur Ami is made from an innovative material: a mix of fiberglass and natural aluminium powder. The design was based on the shape of a sea snail. Over time, a real patina will develop on the surface of the planter, without rusting through the material. The planter's weather resistant properties mean that it can be used both indoors and outdoors. A drain in the bottom of the planter must be drilled before outdoor use.